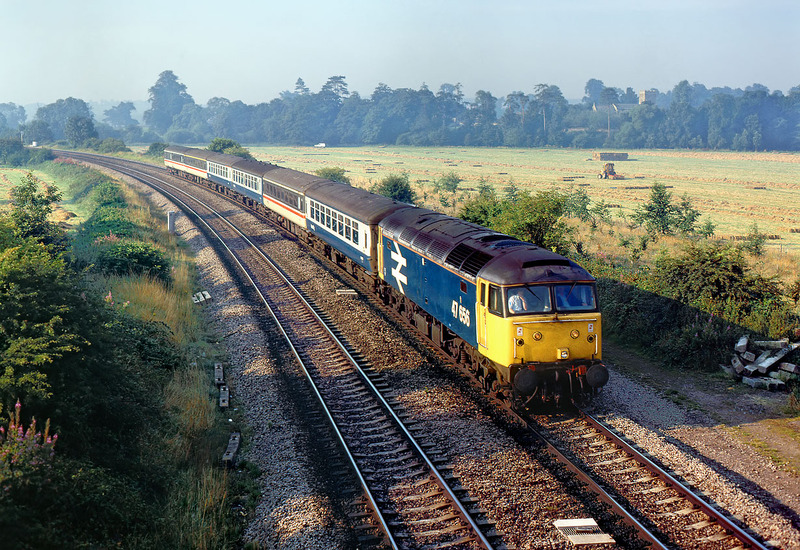 47656 swings round the curve towards Heyford station on 17 August 1988 with the 1M10 07:02 Paddington to Manchester Piccadilly InterCity service. This used to be an excellent location for early morning shots of northbound trains in the 1980s, with a clear view across the fields in the background to Rousham church. Unfortunately this is now a completely enclosed tunnel of trees.